ALCO World was formed to meet a demand by these followers for ALCO merchandise, railroadiana and memorabillia. 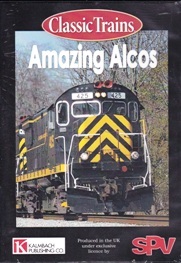 ALCO World is operated by ALCO enthusiasts for ALCO enthusiasts. We have collected items depicting ALCO locomotives from around the world and have had many specially manufactured. Browse through our product range and feel free to enquire about any of the goods available. If you know of something you think should be in our range please let us know. Run time 60 minutes. An overview of rare and noteworthey Alcos includes insightful commentary covering S-Series, RS1 & RS3, FPA cad units and Centrury Series. Ross Rail. 1 hrs 7 mins. 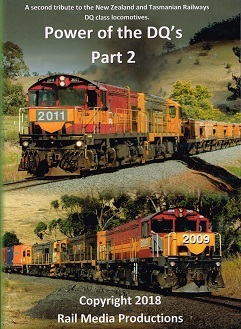 This presentation covers first generation and 2nd generation locomotives at work. Railmac Publications. 52 B&W A5 pages. A pictorial look with listings and information on Melbourns Private bus Fleets. Run time 65 miutes. 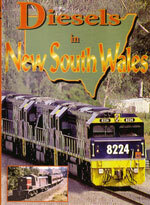 Covers workings in New Zealand & Tasmania in operation with ballast, paper and coal trains, includes a number of lash ups of the class.